British RAF wireless operator/air gunner Bill ‘Enoch’ Kirkness flew thirty-two B-24 Liberator bomber sorties, twenty-eight of which were against Japanese targets in Burma. He was credited with downing the night fighter that killed a crewmate and severely damaged his Liberator in April 1944. 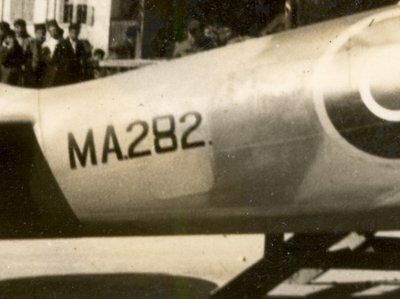 His aircraft’s crash-landing abruptly ended his first tour of operations. 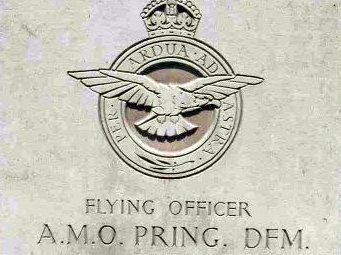 He was awarded a prestigious Distinguished Flying Medal for his heroism. 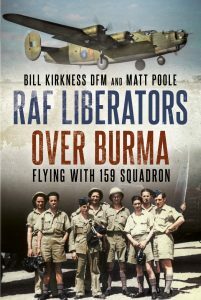 Bill’s memoir of Wellington ferry flights, Liberator training, and operations with 159 Squadron typifies aspects of the human spirit—including fear and anxiety, focused determination, numbing boredom, brotherly camaraderie, heart-wrenching anguish, amorous pursuits, and comic relief—which any young man immersed within such a conflict would have likely experienced. Bill wore his heart, not just his sergeant’s stripes, on his sleeve. 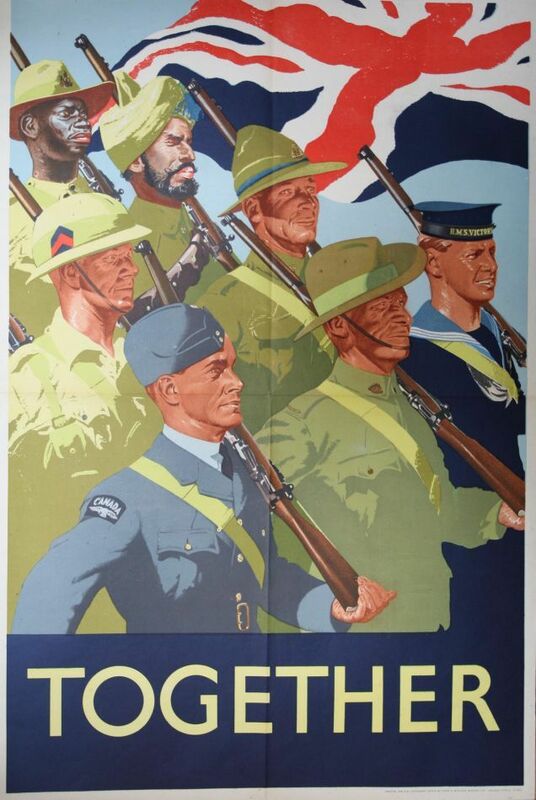 Bill’s story is a compelling, dignified account of an average man’s war from 1942 to 1944 in the UK, the Mediterranean, Africa, and onward through his first operational tour based in India. 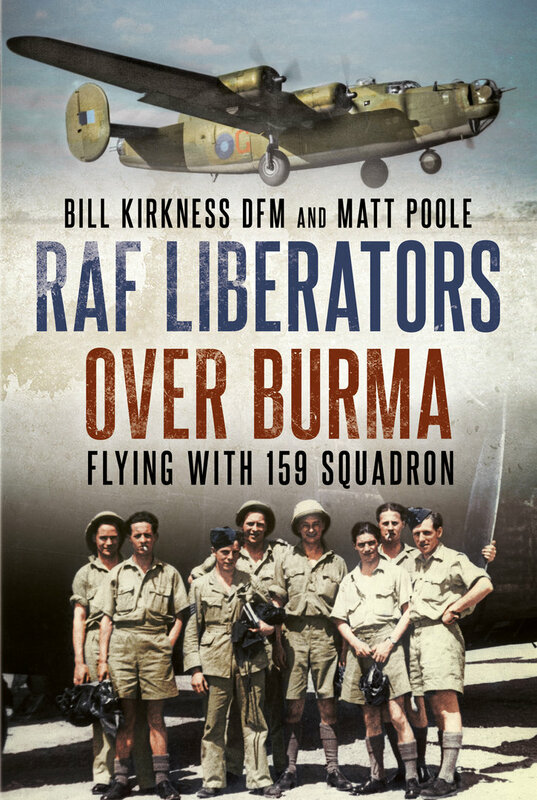 Matt Poole, an expert on 159 Squadron and RAF Liberator activities against the Japanese, seamlessly enhances Bill’s narrative with supporting historical detail. Although Bill passed away in 1994, Matt vowed to help bring the memoir to a wider audience. Bill was one of my earliest supporters as I set out in 1990 to learn the circumstances behind the 29 Feb 1944 loss of Sgt George Plank, my mother’s first husband, his crew, and one other Liberator during a 159 Sqn op to Rangoon; Bill flew that night. While visiting with him for several days in 1991, I first learned of the memoir, but, understandably, he was protective of his baby. Hoping a book would result, he was unsuccessful in finding a publisher. I did not obtain a copy before Bill’s 1994 death. After finding his widow Marie’s 2012 obituary during a 2014 google search, I was motivated to find their daughter Sue, who I knew was living in Australia in the 1990s. Through Marie’s probate records, I succeeded. Thrilled that I was interested in her father, Sue graciously sent me the manuscript, plus Bill’s photos and a copy of his flight logbook. 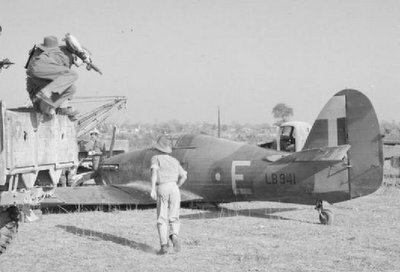 Upon first reading the memoir, I knew that with my input, it would make a fabulous book on a grossly under-published topic: the air war over Burma. However, it was only after I retired in June 2016 that I had the time to make this happen. I’m overjoyed with the result. My desire was to seamlessly match – and honor – Bill’s style and sensibilities as I added to his raw manuscript using sources at my disposal, including the 159 Squadron ORB and his logbook; this was of extreme importance to me, because, after all, this was Bill’s memoir, not mine! I gathered and digitally repaired photos from Bill’s collection and my own – the majority being previously unpublished. The 32 pages of photos are sure to wow anyone with the slightest interest in the subject, because of their quality and uniqueness. This is not a book about tactics or technology. Instead, it is the heartfelt, and at times heartrending, offering of a thoughtful and dedicated “everyman” – just a bloke from Horsforth, near Leeds. He was fortunate to survive, unlike some of his crewmates and others with whom he trained and flew, and about whom he wrote. As of 24 November, the Kindle edition is widely available for purchase through various Amazon outlets (thirteen Amazon sites are noted at the bottom of the amazon.co.uk page) and also through books.google.com. And other bookseller sites, too. Many Amazon sites offer a “Look inside” option which includes all 52 photographs, but not much text. The specific books.google.com site given below – if it works outside of the US, where I viewed it – shows fewer photos but more text. On the book cover image on left – click on the text reading “Look inside”, seen above the cover at upper left. A preview of the book will appear. The photos and captions should especially fire up a few viewers. As of 24 November the hardcover book is available through amazon.co.uk and from the publisher’s website, fonthillmedia.com, to name two booksellers in the UK. These recommended last order dates apply to items which are available for dispatch within 3 business days. For items which dispatch in 4 or more business days, please allow additional time for delivery. DELIVERIES TO CANADA: Please be aware that we are currently experiencing problems with deliveries into Canada. Unfortunately, due to issues outside of our control, postal services are currently being impacted and deliveries will take longer than usual. We have confidence that deliveries will still reach our customers in the country, but cannot guarantee how long this will take. DELIVERIES TO BRAZIL: Please be aware that we are currently experiencing problems with deliveries into Brazil. Unfortunately, due to customs issues outside of our control, postal services are currently being impacted and deliveries will take longer than usual. We have confidence that deliveries will still reach our customers in the country, but cannot guarantee how long this will take.